This Unakite gemstone necklace is made of handmade sterling silver flower design links with small disc shaped Unakite gemstone beads in between the links. 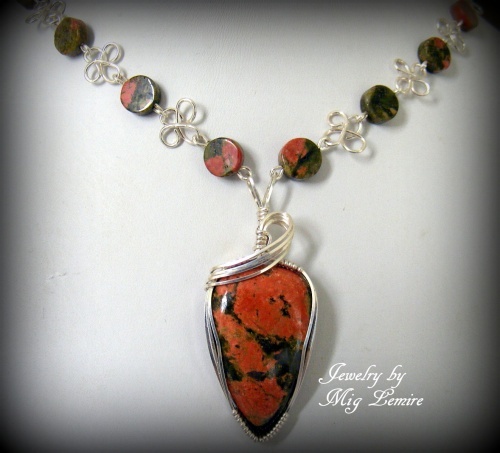 The focal is also a Unakite gemstone with a framed sterling silver design. Piece measures 17 1/2" long and has lobster claw clasp. Comes with a complimentary pair of matching earrings.